Summer is winding down and you’re already contemplating the kids’ reentry to school, mentally creating your check list and preparing for back to school shopping. Hold on just a second – before you go into parent/guardian and work mode, we do have a few weeks left of Summer. What this means for you is, you still have a chance to create a few more lasting memories. 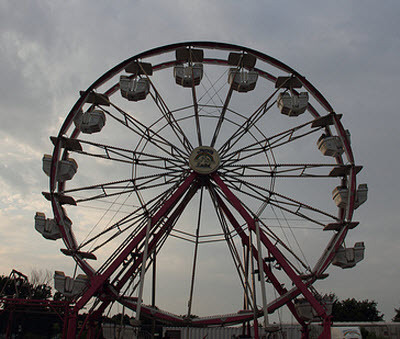 The Augusta County Fair provides the perfect opportunity for the entire family to share in a wonderful experience, have a fun-filled day(s), and partake in festivities they won’t soon forget. There will be lots to see and do, so set aside some time between August 6th and 10th for the 18th annual Augusta County Fair. For the past seventeen years the Augusta County Fair has been one of the most anticipated even in the region. It has consistently been well attended and has met or surpass the expectations of patrons. This year will be no different; the fair promises to be an event of great grandeur. The kids will love it for the rides, games and other attractions. You and all the other adults will enjoy the talents, skills, food and all things Americana being showcased. Still not sure? Here is a glimpse into what to expect. Entertainment: there will be a large selection of entertainment: something for everyone. Ever seen a black bear up close? How about a black bear dancing or performing tricks such as balancing on a moving barrel? The Great Little Bear Show that occurs daily gives you a chance to see these bears in action. I’m sure the little ones will enjoy it. Barney the clown will also be performing at selected times. If you appreciate country music, second place contestant on Survivor: Nicaragua and country artist Chase Rice will be performing August 7th. Catch him live in concert. As I said before; there is something for everyone. If you’re in the mood for a spiritual uplifting, the Deanes Bluegrass Gospel will be in concert August 8th. For something a bit more jaw-dropping or death defying, you may want to check out Hansens Spectacular Thrill Show, it will keep you on the edge of your seat. T rack Events: yes, county fairs are synonymous with big trucks. However, at Augusta County Fair you’ll see these trucks in action; not just on display. The 4 x 4 street drags are going to be exciting: watch minivan class, 4 cylinder, v-6, v-8 and diesel trucks compete for a cash prize. Want to see bigger vehicles in action? Be sure to attend the fair Friday and Saturday for the Street Truck and Tractor Pull and the Farm & Tweaked Farm Tractor Pull. You may want to get there early; both events are anticipated to attract huge crowds. 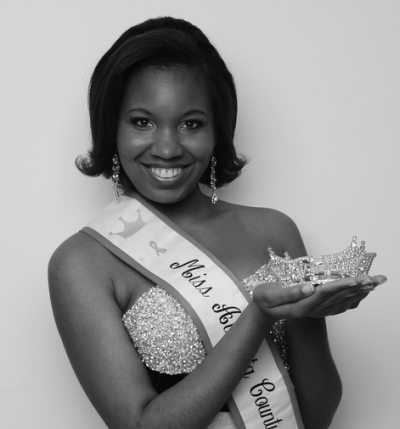 Local Beauty Pageant and Talent Competition: as a precursor to the fair there will be a competition to select a winner for the Miss Augusta County Fair 2013 Beauty Pageant; you can go support your favorite contestant. The Battle of the Bands contest will showcase local bands, vying for the ultimate title and a chance to win $500. If you have a favorite band come out and cheer. If not, it is still live entertainment and with 30 minutes per set, the competition will be something you’ll be talking about for days. Food, Food and More Food: I am certain I don’t have to tell you this but; I am going to anyway because this is the part that I am most anticipating. From corndogs to fried Oreos, elephant ears to funnel cakes, cotton candy to homemade ice-cream, barbeque chicken to corn on the cob, those are only a few of the foods that are common to county fairs: just thinking about it makes my mouth water. I am sure you and your family will enjoy the vast variety and flavors of foods you wouldn’t otherwise consume.